This old Cliffs Bath House, used for seaweed baths, was built on these rocks in 1850 and not long afterwards it was damaged by a hurricane. 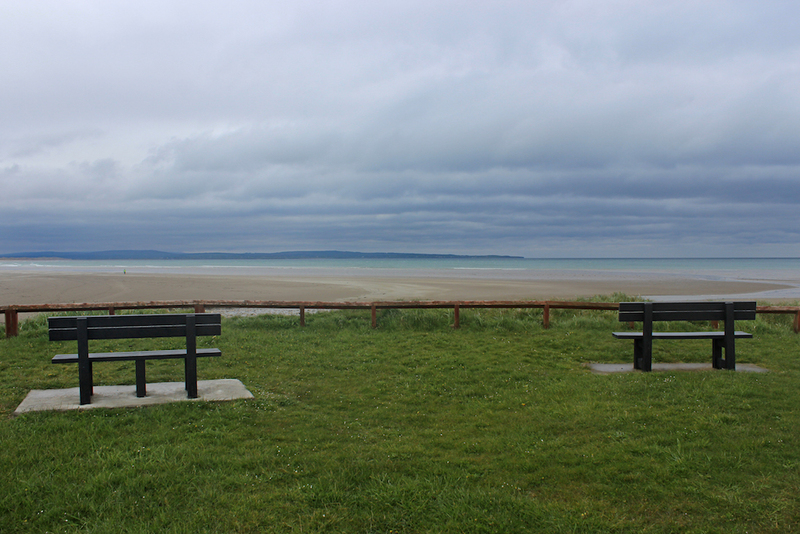 It is not in use today, but further along this beach is the famous seaweed baths of Enniscrone, where the water used is warmed and taken directly from the ocean a few metres away, as well as all the seaweed! Healthy! These steps are used to reach the road above from the beach, and only when the tide is low. They are quite slippery too. The ‘red carpet’ for Mermaids perhaps? This little pier was built between 1884 and 1887, and the coastal walkway passes here. This entry was posted in Ireland - April/May 2015 and tagged Black Pig, Cliff Bath House, Enniscrone, Inniscrone by Angels Travelling. Bookmark the permalink.